♥ : Fumbling Fluff - "Don't Bother mentioning this to me;" Horrible design concept. ♥♥ : Flowery Breeze - Cute; Average design concept. ♥♥♥: Sparkle Sweet - Astonishingly cute. ♥♥♥♥: Fancy Delight - It's star struck at first sight. Clearly Adorable! Subscribe: click on icon left side. THX! 50TH Anniversary Stuff has Arrived! Add blog to our directory. 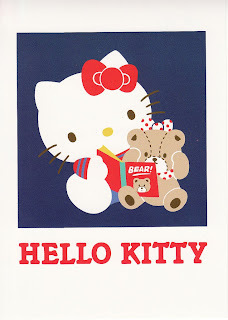 There are so many Hello Kitty designs made, but I decided to tackle some of the good designs from the past that stood out or was still a classic to us collectors who love collecting vintage stuff. 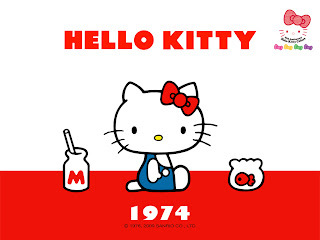 Classic HK version will always makes us appreciate the good old days. 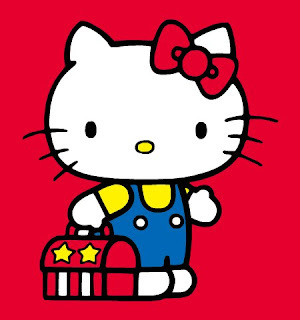 There's nothing better than seeing Hello Kitty hard at work! I will always love the blue jumpsuit she has on and her red classic bow accessory at her ear. 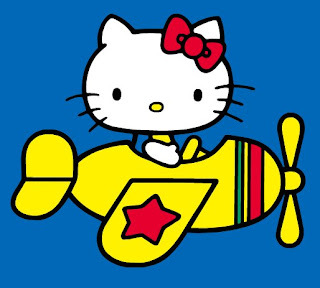 Hello Kitty shows us she can do anything if you put your mind to it. I can't say this design is one of my favorites because it's not. 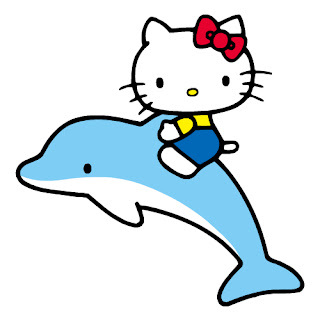 I love vintage Hello Kitty, but here she looks out of place on bright neon colored dolphin. 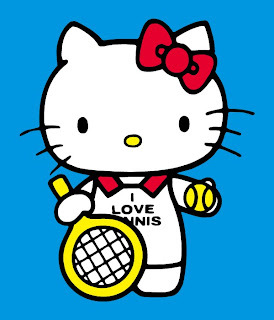 There's something special about Hello Kitty's enthusiasm for whatever she sets out to do like playing tennis. Here I just love her outfit. Simple and just with the right color scheme. Maybe this was the first time we see her hugging her teddy bear doll? I love this design very much. The bear designed with it's own bow accessory gave it the right touch of being so fabulously adorable... how can you not love this series design?! 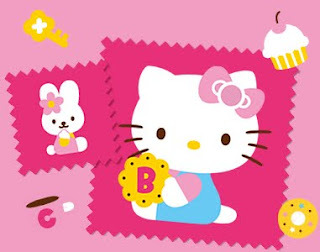 There's nothing more enjoyable than seeing Hello Kitty and her teddy bear having a sweet time... plus maybe this is where I get fascinated with polka dots? What a sweet design. 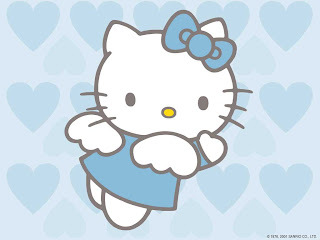 I love blue colored angel Hello Kitty, don't you? 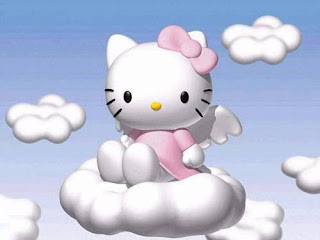 I also came to love the pink version angel Hello Kitty. She was more 3D here. She looked great! I think it was one of those designs that I just didn't love or bother to muster to "like" status. I love the pink *Ribbon* version more than the red colored designs. They were simple and cute. 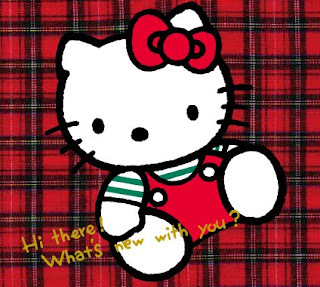 As you know there's so much more Hello Kitty designs to cover, but if you've been following my blogs, then you already know that I did not like the majority of HK designs over the past few years, except for Momoberry, but that's in a different category and untouchable... hello? Do I have to remind you that Momoberry is the ultimate pink and quirky on it's own? Don't make me bring out my Momoberry bible out and remind you why we love her! More new Japan Plushes out now! 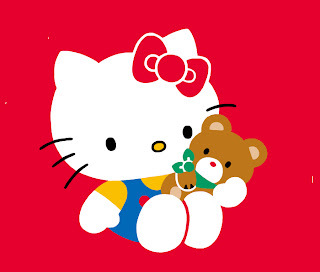 If you would like to have your Sanrio related website/blog added to my site as one of the recommended links, link to this site by copying and pasting this HTML code into your own blog or web template. Once it is up on your site, let me know and I'll add your site. Thank you for visiting Junolyn's Blog.